Less than a month into his Presidency and Donald Trump has more scandals under his belt than President Obama did during his eight years in office. Before taking office, Trump was known for his Trump Organization, a privately owned international conglomerate. The “Trump” brand is comprised of more than 500 business entities of which President Trump is either the sole or principal owner. His daughter, Ivanka, has a clothing line featured in various department stores across the U.S. Until recently, it included Nordstroms. 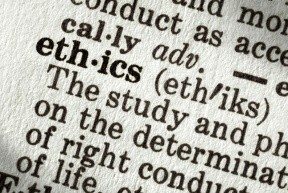 What Ethics Rule was Violated? There’s no question that Conway endorsed Ivanka Trump’s brand in her off-the-cuff statement, but the comments were further troubling for another reason. As Trump’s senior and one of his most visible advisors, Conway’s “free commercial” had the appearance of the White House, and by extension the President, telling people to buy Ivanka Trump’s clothing line. As part of the Trump Brand, President Trump stands to gain financially if people heed Conway’s advice and start buying Ivanka Trump’s product. Public citizens and Citizens for Responsibility and Ethics immediately asked for an investigation of the Office of Government Ethics (OGE). The OGE is a federal agency whose job it is to help the President and executive branch avoid conflicts of interest. It was created in 1978 following President Nixon’s Watergate scandal. The OGE can investigate and make recommendations based on possible ethics violations, but any sanctions or subsequent punishment is at the discretion of the White House. It is important to note that an ethics violation of this nature is unprecedented, although former Chief Counsel to Vice President Biden claims this type of violation would have gotten someone fired under the Obama administration. According to a former lawyer and ethics officer at the Federal Election Commission, the typical ethics rule violation will result in a letter of reprimand. Termination is also an option. In extreme but rare cases, a violation could be referred to the Justice Department. Given her comments and the potential Trump’s brand has to gain after Conway’s self-described free commercial, it’s safe to say the President elected not to punish Conway. We should probably question whether she was praised, encouraged or rewarded. Has President Trump Committed an Ethical Violation? In addition to the above-referenced federal ethics code, a lesser known section restricts the President and Vice President from using their office to influence or make threats about an employment practice of any private company. In other words, President Trump cannot misuse his authority to bully private companies or influence how they do their business. During a press conference, Spicer claimed Nordstroms’ decision to discontinue Ivanka Trump’s line was unacceptable because it was an attack on Trump’s daughter. Trump expressed his unhappiness with Nordstroms for treating his daughter so unfairly. The comments taken together can be interpreted as a violation of federal ethics. Time will tell whether Trump faces any backlash for the White House’s position, or if Conway’s comments will be overshadowed by another scandal in the coming days.